When Frank McGlynn saw the board go up, his heart tugged and his mind told him that the time had come. There was just a minute to go until half-time and a one-sided qualifier was getting out of hand as Galway led Donegal 3-9 to 0-7. 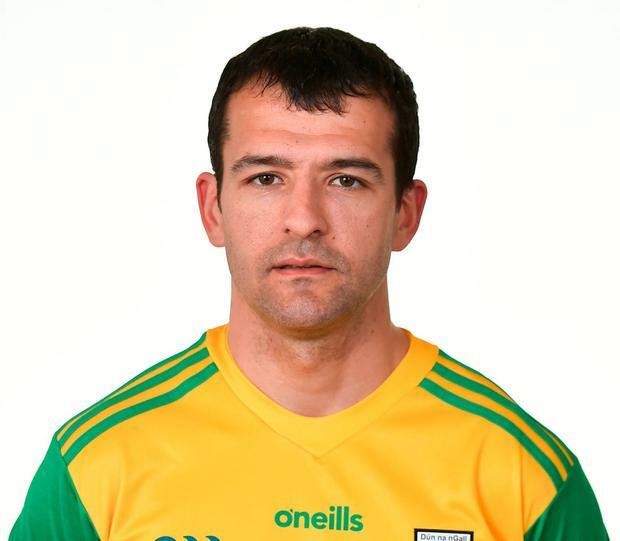 Trailing by 11 points, Donegal had already replaced Mark Anthony McGinley, who'd been black carded, and Jamie Brennan. With the interval just moments away, McGlynn was called ashore by Rory Gallagher. Eventually coaxed back by new manager Declan Bonner, McGlynn, who was also taken off at half-time in the 2017 Ulster semi-final loss to Tyrone, knows that events could have taken a much different course after that night in Markievicz Park when Donegal were annihilated 4-17 to 0-14. "We were in dire straits and being totally overwhelmed," McGlynn recalled. "I wasn't used to being taken off, but those games didn't go well for me and Rory decided to replace me. I don't hold that against him one bit. "Things weren't going well for me. That was the most disappointing thing - regardless of staying on or coming off. I wasn't influencing games. That was something I was keen to change this year." McGlynn was replaced in the Ulster championship games against Cavan, Derry and Down this year, but the thundering roar that greeted the soft-spoken Glenfin man was a marker of how he had returned to his throne again. "The smile on the face comes from victories," McGlynn said ahead of tomorrow's 'Super 8s' clash with Dublin at Croke Park. "It's a far cry from where we were last year as a team and for me individually. You have to give Declan credit for turning it around." McGlynn was one of the first players Bonner sought out after taking the reins following Gallagher's departure. "Being there for a number of years, you know from the talk what the aspirations are. Declan was very clear. He was used to winning things and wanted to repeat that with us. "As everybody knows in Gaelic football, even if you had a great last year, it starts off back at scratch again this year. "You're only ever as good as your last game. So, while we had low points last year, we knew that this year was a fresh one. That was one thing that did help - that there was a freshness there at the beginning of this year." Bonner knew the Glenfin schoolteacher would be a little apprehensive, given how the 2017 season had panned out. The new manager, though, already had a plan for McGlynn, who might have made it in another code 18 years ago. He once played alongside Wayne Rooney for Everton in the Milk Cup of 2000, but Gaelic football called and the primary school teacher has played 162 times for Donegal - 60 of them championship appearances. Teammates have talked of his insatiable appetite for winning and Bonner knew the buttons to press. "If I went to Frank and said 'listen, this is a three-year project and we are not looking at winning anything for three years,' then Frank would not be here," Bonner said. "Frank still wanted to be a winner. When we came in we were going to make changes in the way we were playing, and we were also going to be very competitive. That was the key." Donegal are a transformed outfit to the team that meekly departed the stage last summer. They head for Croke Park after winning Ulster and, despite the absence of Patrick McBrearty, McGlynn's focus and ambition are clear. He said: "We managed the Ulster championship very well and we didn't get ahead of ourselves. The 'Super 8s' is the same. "The big lesson I've learned is you play at a level for 70 minutes. There is no such thing as waiting for a big push or staying in the game until half-time when you play Dublin. It has to start at the beginning and last for 70 minutes." Colm Keys His time away from the game has been relatively short but James Horan detects a more positive air around football from the strategy of containment that seemed to coincide with his previous four-year stint as Mayo manager.